Objective Medical Systems (OMS) president, chief software architect and cardiologist Dr. Vinod Nair has been selected by Silicon Bayou News to the Silicon Bayou 100, an annual list naming the 100 most innovative, influential and active people in tech and entrepreneurship in Louisiana over the last year. With over twenty years of experience in both interventional cardiology and computer science, Dr. Nair has been instrumental in the development of the Electronic Health Records system (EHR) and diagnostics offered by Objective Medical Systems. 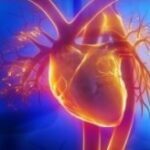 This unique, specialized system is designed by cardiologists for cardiologists looking for a cardiovascular information system that provides structured reporting across all diagnostic modalities. In addition, the system that Dr. Nair helped developed for OMS offers a Stage 2 certified electronic health record built from the ground up for cardiology specialists. By maintaining a narrow focus on cardiology, the system is able to offer an elaborate, powerful, and user-intuitive solution. 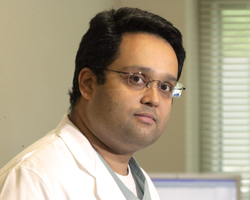 Dr. Nair is board certified in internal medicine, cardiovascular disease, interventional cardiology, nuclear cardiology, vascular medicine, endovascular medicine and cardiovascular computed tomography. He is a member of the American Medical Association and American Heart Association, and is a fellow of the American College of Cardiology. Silicon Bayou News is the leading technology media property in Louisiana and was created to highlight the state’s tech and entrepreneurship news as well as foster and support a connected and vibrant community of entrepreneurs and creatives.